Rain? Yes, we're still getting that. But more than rain…a baby shower!! This past Saturday, there was a baby shower for my DIL in our hometown in Ohio. Unfortunately, I could not arrange to be there, but I sent a couple of knitted items up and can now share them with you! Pattern is Welcome to the Flock by Julia Farwell-Clay. My color work still needs a lot of practice but it came out okay. 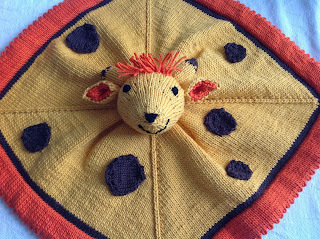 It’s a Woobie Giraffe by Kris Carlson. This is the second woobie I’ve done and you'll remember it's inauspicious beginning, but I was very pleased with how he turned out. Yarn used was Cascade Yarn’s Avalon, which I picked simply because they had the colors I wanted in the fiber I wanted but I was glad I did - it turned out to be a really nice yarn which I think will hold up well. Of course, I have a couple more things that I’ll either ship up early or take with me when I go to meet my new grand in July. Can't wait!! 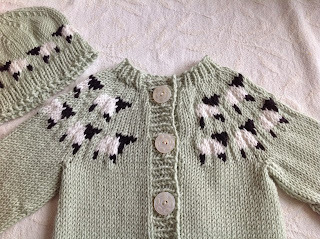 Wonderful baby knits, Lisa! 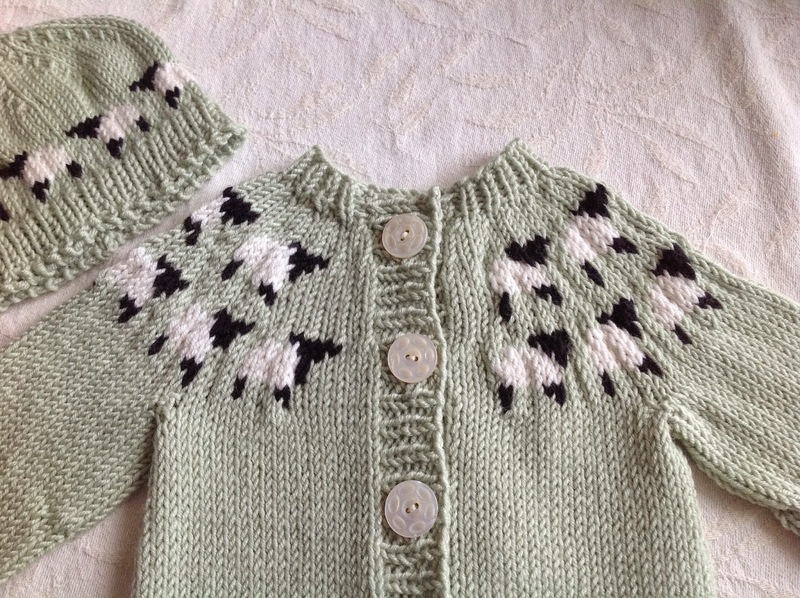 Isn't that Welcome to the Flock sweater the cutest thing ever? I made one for Lucy for Christmas and she has worn it a lot. Thanks, Kristie! Your Welcome to the Flock inspired my selection of that pattern!